Henry Street is always looking for ways bring our community together to share information, voice our opinions, and advocate for meaningful changes and improvements in our neighborhood. We host workshops, information sessions, Town Halls, resource fairs, and other community forums, and you can check out our calendar to see what’s coming up! Henry Street works hard to ensure that our programs and services reach everyone who needs them. 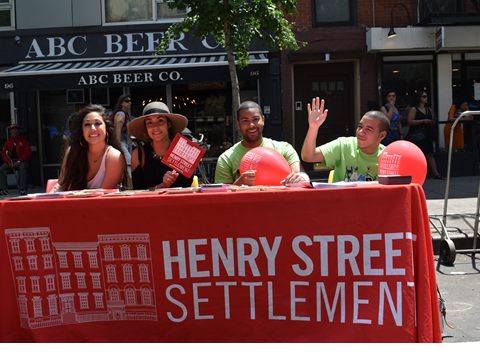 Our outreach team works with local schools, libraries, businesses, churches, and other organizations to spread the word about all that Henry Street has to offer. Contact us at outreach@HenryStreet.org to learn more!